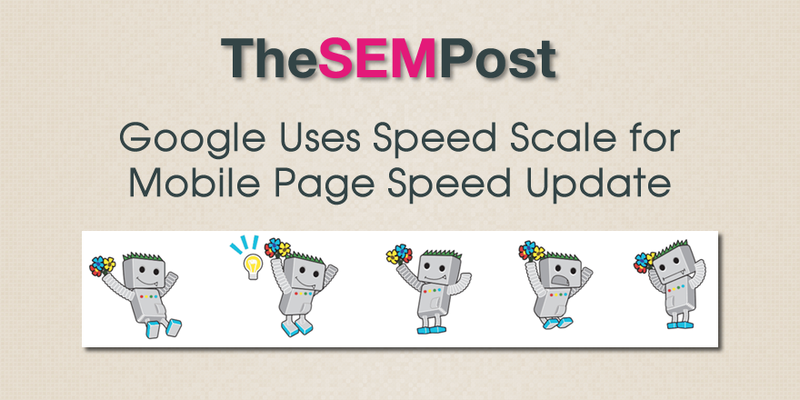 Google’s new mobile page speed update has a new improvement over the desktop page speed algo that Google has used for years… you can improve your mobile site speed on a sliding scale, and that will help rankings. Every mobile page speed improvement made could potentially increase rankings. Previously, the desktop page speed algo was only able to take into account whether a site was extremely slow or not. The question came up in a recent Google Webmaster Office Hours and John Mueller from Google confirmed that the mobile page speed change isn’t as “yes or no” as the desktop speed. We don’t have a specific metric that you can focus on or we say “this is the number you need to get to get to this particular area,” mostly because we think you shouldn’t just focus on one number, you should look at the overall picture and maybe look at the different tools that have different kind of focus areas for speed. And it’s a bit different than the other speed update that we did. In general, like seven or eight years ago ,where there is no differentiating between like fast and slow, it’s more of a gradual scale, so the faster you can make your pages, the more we can take into account. And it’s not so much that it’s like it’s too slow or it’s fast enough. Someone asked specifically if gradual improvements could help increase rankings and Mueller confirmed. For desktop page speed, improving a score dramatically, even in the good or excellent range, would not have any impact on the rankings. The only change would be seen if a site was extremely slow and then improved the score, or vice versa. So the fact that this change means that site owners can work on improving page speed on mobile and potentially see ranking gains as they continue to improve is very important. However, Mueller did clarify later that this incremental improvements will still only work for those sites that are among the slowest sites. He said that sites that are “reasonably fast” won’t see improvements with this update. But the question does remain on where that line is between “slowest” and “reasonably fast” that could see improvements. It is also worth reminding site owners that sites that are fast for users is great for usability, which impacts more than just SEO. Speeding up a site could improve conversions, shares, links and more. This will also mean SEOs will need to give more emphasis on mobile page speed than they have done previously, or consider using AMP if they have not implemented it already. Google began rolling out the mobile page speed update today.